Derma Medical now offer Cosmetic Injectables Training Courses in Sydney. Our first combined course will be on the 19th and 20th January 2019. We already provide cosmetic injector courses in Brisbane, Melbourne, and Perth as well as internationally at our training academies in the United Kingdom, Sweden, and United Arab Emirates. If you wish to find out more you can request a course information pack or contact us with any questions at [email protected]. With Derma Medical, medical professionals can follow our accredited landmark based curriculum in cosmetic injectables. We offer a step up pathway allowing you to become a Complete Cosmetic Clinician having completed our Foundation, Advanced, Lip Filler Masterclass, and Advanced Masterclass in Complete Facial Contouring. Our courses are perfect for Doctors, Dentists, and Nurses looking to practice in Dermal Filler & Anti-Wrinkle Injections and start a career in facial aesthetics. Our internationally recognised courses will equip you with the knowledge and skills to carry out the most commonly requested and popular cosmetic injectable treatments confidently upon completion of your training. Because of our practical approach to teaching, We are always looking for cosmetic models wanting dermal filler and anti-wrinkle treatments in Sydney. All of our training course delegates are qualified medical professionals and will have already gone through the theoretical material on the day. All treatments will be administered under the close supervision of our expert trainers, so you’re in safe hands! Anyone aged over 18 can be a cosmetic model. Follow the links to view and book our dermal filler and anti wrinkle treatments, or visit our cosmetic models page to find out more. >> Comprehensive courses: Structured training courses from foundation through to masterclass level covering Anti Wrinkle and Dermal Fillers treatments. Learn all the most common, most sought after and advanced cosmetic injectables treatments in the industry. >> Landmark Based Education: We use our specifically mapped injection points and safe zones for all anti wrinkle and dermal filler treatments. Making sure you’re safely injecting your own patients every time. >> Models: We provide over 30 live cosmetic models during our 2 day combined course, more than any other training academy. All our courses include 50% practical hands on injecting in a clinic like setting. This allows you to start practising immediately and confidently straight after the training course. >> Startup and Support: We provide advice and tips on building a patient client base, providing a professional service, marketing, insurance, keeping patient records, working for a clinic, setting up your own practice or clinic, post-graduate support and much more. Nestled in the renowned dress circle of Circular Quay with unparalleled views across the Harbour City. 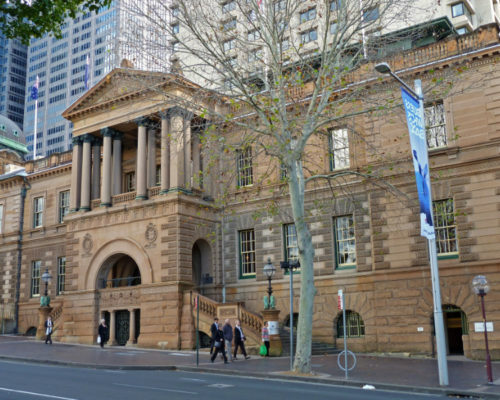 Set within the restored Treasury Building of 1851, 509 guest rooms, including 28 suites, showcase picture frame view of the city skyline, Sydney Harbour Bridge, Sydney Opera House or the Royal Botanic Gardens. From Sydney Airport the hotel is a 20 minute drive away with a car park being available on site. The nearest train station from the airport is located a 10 minute drive or 25 walk away. Town Hall train station is a short walk away from the hotel. The closest bus station is stand C, Circular Quay, located on Phillip Street. It is then only a short 2 minute walk to the hotel.